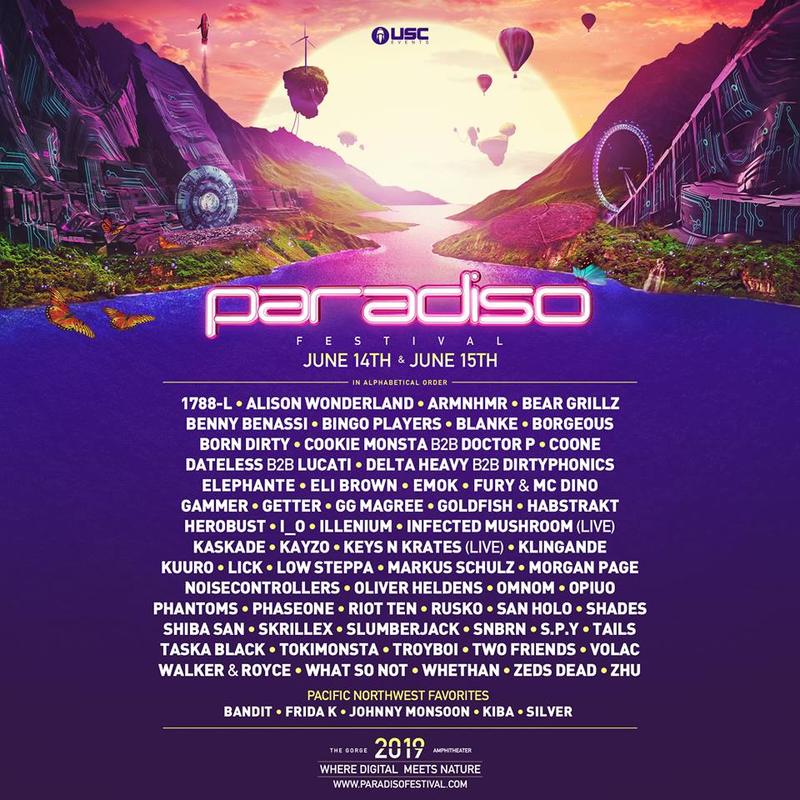 The Paradiso Festival 2019 lineup is out! Skrillex, Alison Wonderland, ILLENIUM, Oliver Heldens, Markus Schulz, Infected Mushroom, Kaskade, ZHU and TOKiMONSTA all top the lineup! The Digital Oasis and Wreckage lineups are out too, you can find them in the lineup section farther below. 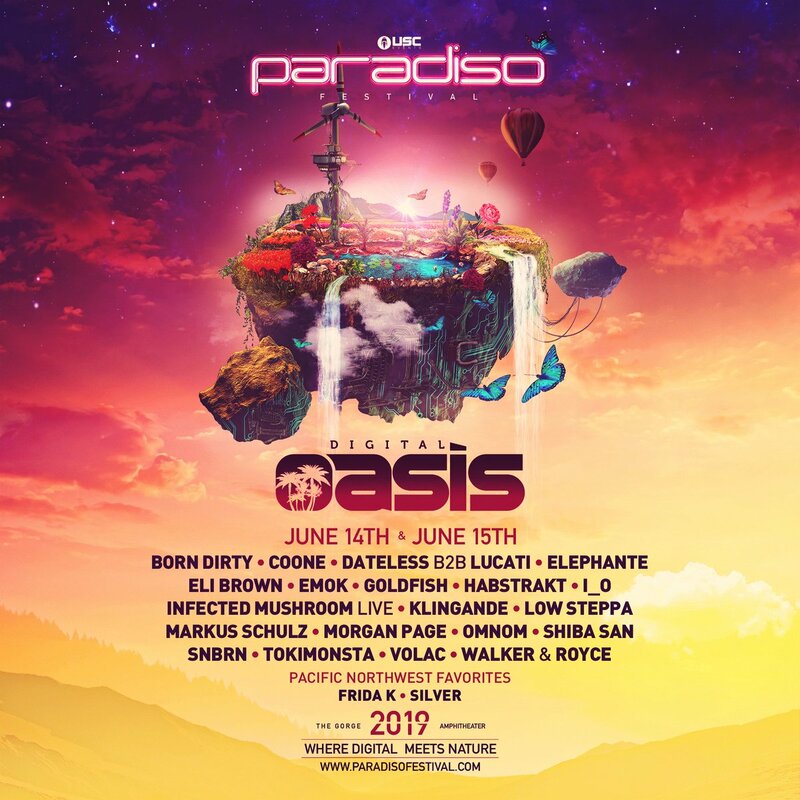 Paradiso Festival tickets are on sale! 20,000 people gather in the mountains to celebrate a lineup with EDM genres like electro, trance, house, and more! Epic. The Paradiso Festival dates are June 14 - 15 at Gorge Amphitheater. The Gorge Campground is next to the Amphitheater and include the following areas at different prices: Standard, Premier, Gold, Terrace and Oasis. Paradiso Festival camping prices are different for each area. 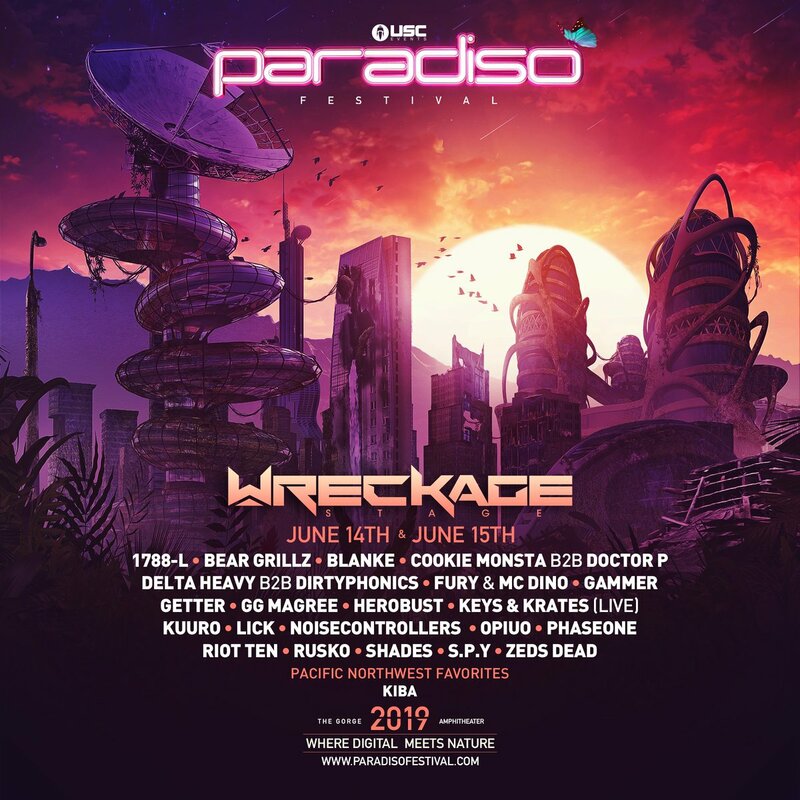 The Paradiso Festival 2019 lineup and Paradiso Festival 2019 tickets are below! 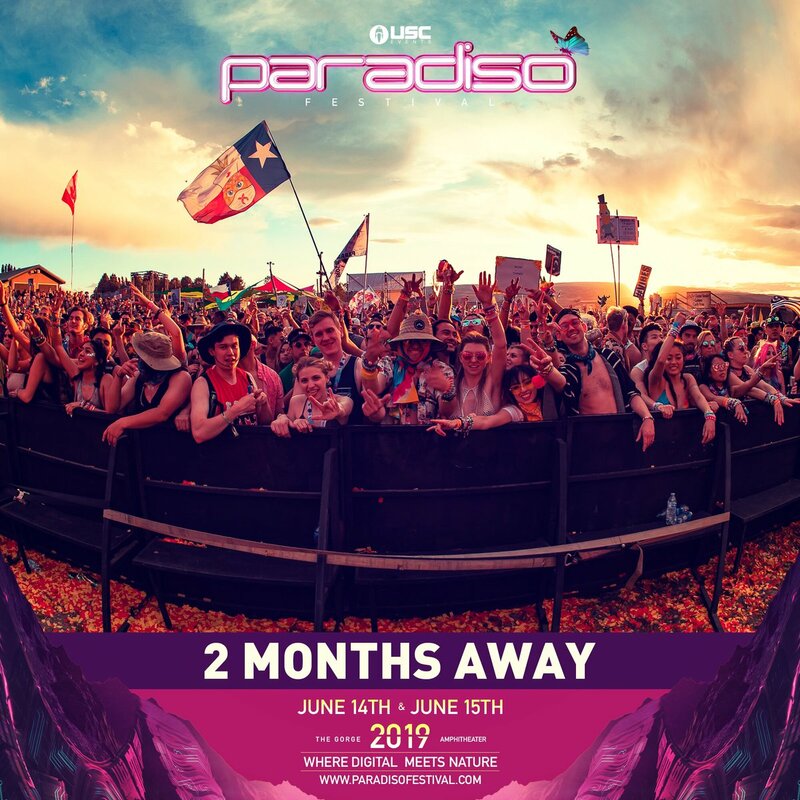 Paradiso Festival tickets for 2019 are on sale! Tickets are available in General Admission, camping is also available. At last check, tickets are 90% sold out! Get in while you still can! 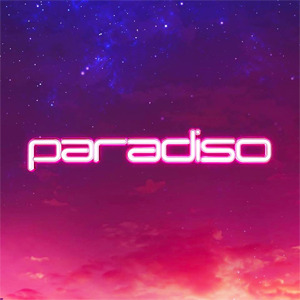 Paradiso Festival will happen soon!